Just now I was working on a memoir of sorts, a collection (and hopefully appropriately time-lined) group of memories from what I like to call ‘The Dark Ages’. I was writing about one time years ago when I went to a hippie festival and tripped on acid. 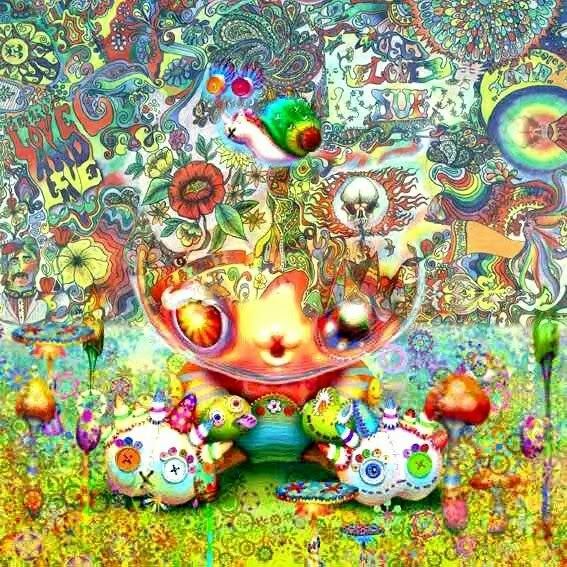 Trying to put all the memories together when they’re affected by LSD at the same time is one awesomely huge task, and it only happened in drips and spurts. I had to sit here, all quiet like, and sink back into the time. Eventually, I got the section finished, and just sat there, thinking about how much I enjoyed it then, how much I would have defended my right to indulge at the time, and I compare it to how much I regret it now. It’s not like I did any lasting harm to myself using acid that time, but I may have and it just hasn’t manifested yet. Let’s wait and see. There were things I did and things I ingested during those days that I regret. There were actions I took that I regret as well. Nothing too drastic; I never mugged old people or rampantly stole from people who were struggling anyway, but there were things I wouldn’t do again if I had that time over. I don’t have that time over again. I can either spend my time wishing I could change what has happened, or I can get on with my life and try to learn something from all those years of drug abuse. I also chose to help make a difference to other’s lives. To this end I am studying to become a social services worker in the field of substance abuse. It’s the only way I know how to turn what should be a negative into something worthwhile. So here I am, studying and writing about the years I spent in addiction, wondering if anyone will even read the damn thing if it’s published. I guess if even one person gets something out of it, if one person gets a moment of clarity or a glimmer of hope from it, then it’s worth the time and effort to put it all down. Well, I guess I’ll get back to work on it.